Segment 1. 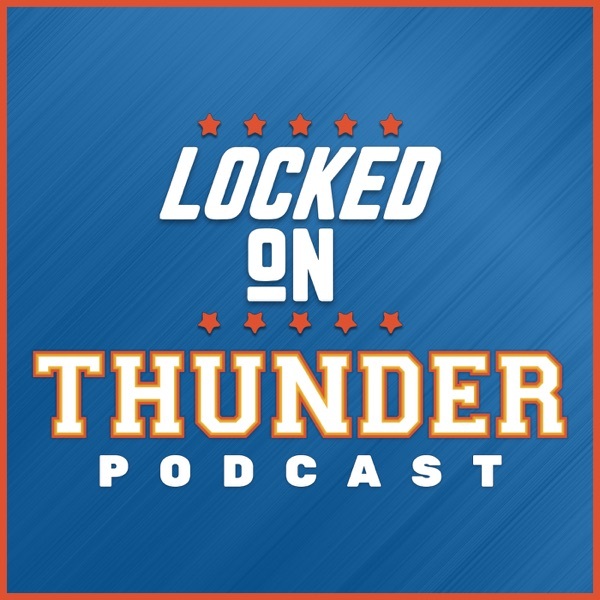 What will happen this offseason with the Thunder? July first at the stroke of midnight PG agrees to a deal with LAL, Presti, wanting to work fast, then comes to an agreement with Jerami Grant, Carmelo Anthony and Presti are at an impasse, but Melo won't budge on the 28 million he is owed. Melo accepts 20 million and leaves for Sacramento. Josh Huestis on learning the news that Fred Katz is now covering the Boston Celtics agrees to take less than he can get with the Thunder and inks with C's just to troll Katz for 3 more years. OKC needing a small forward somehow convince Trevor Ariza to ink a one year deal to come to OKC and give up a chance to play for an NBA championship. Russ, Adams, Roberson, Arizia, Grant. Presti unable to pull off a trade for Marcus Smart, comes to terms with Raymond Felton for another one year deal. And in the best singing of the whole offseason, Enes Kanter comes back to OKC.. Segment 2. Why LBJ has become boring. Russell Westbrook, GSW, Harden and the Bucks have all become more fun to talk about. We like drama in our sports, we know what LBJ is going to do during every game. Segment 3. In the douchiest move ever Draymond Green traded marked the name Hamptons five. Steph Curry wants to host a golf tournament.